Birch Grove Capital’s founder, Jonathan Berger, was selected for The Hedge Fund Journal’s biennial 2014 ‘Tomorrow’s Titans’ survey, sponsored by EY. Since launch in 2013, the firm’s assets have grown from USD 300 million to USD 1 billion as the investor base has filled out, and more granular strategy solutions have been devised in response to client needs. “We have the capacity to be larger but there is no specific target for assets. Assets are a consequence of the market opportunities that exist and how that lines up with investor demand,” says Berger. There are now five offerings, and other sub-strategies could be carved out of the multi-strategy repertoire. The first and flagship strategy is unconstrained, multi-strategy credit, (profiled by us in June 2016 under the title ‘Birch Grove’s Versatile Credit Strategy’) and pursuing event driven long/short, directional long/short, credit relative value, capital structure arbitrage and structured credit, across the entire corporate capital structure. The strategy has outperformed the HFRI hedge fund index by 13% with about a quarter of the volatility. “It is a consistent and repeatable approach designed to produce low volatility returns for institutional investors,” says Berger. In response to reverse inquiries from clients, Birch Grove began providing focused access to strategies in the multi-strategy portfolio. Firstly, bespoke funds of one, providing low beta, high quality income solutions, by investing in diversified portfolios of floating rate, secured credit. Secondly, co-investment opportunities – which Berger terms tactical investments – targeting somewhat higher returns and revolving around mid-market stressed and event-driven special situations. Thirdly, a private credit strategy, launched in August 2017, also has an event driven flavour, sourcing neglected mid-market opportunities where events are anticipated within one to two years; this is distinguished from many direct lending strategies that are closely linked to buyouts from private equity firms and financial sponsors. Finally, credit hedging – including portfolio tail risk hedging – using tranches and credit options, bespoke to some client needs (though Berger admits that most of the firm’s clients do their own hedging). None of this has followed any preconceived game plan. “We listened to investors and tried to be creative in marrying what they were looking for with what we did,” explains Berger. The common strand running through all of the strategies is that Birch Grove is highly selective in seeking out idiosyncratic trades in specific names and instruments. As these are few and far between currently, there is limited scalability. “No part of the market is cheap or rich. We work hard to find trades that have asymmetric profiles, with downside protection that offer cheap optionality. We primarily make money from income, and optionality, while maintaining low beta and correlation to credit and equity markets. We remove as much market directionality as possible, because tighter spreads and market fragility are concerns,” says Berger. Indeed, Birch Grove has more single name shorts than ever before, as greater dispersion means it makes sense for broad market-oriented index hedges to be replaced with individual shorts. Though the short book is specific to companies and instruments, some common themes can be identified. Excessive leverage in parts of the TMT sector is one where Berger sees “tremendous market fragility and complacency, with Altice’s profit warning in November widening out spreads in the sector”. Berger has been in the credit markets for 25 years and every cycle sees some industries become heavily levered; for example media and telecoms accounted for the majority of defaults in the 2001-2002 default cycle. But the radical political agenda means that 2018 now presents some unique factors to contend with. “Certain heavily leveraged media and telecom companies trading very tight are amongst those that may not be pricing in any reduction in tax deductibility of interest, associated with the Republicans’ tax plan. Some of these companies are not paying any tax at all. There is too much money chasing these credits and very little is being shorted in the mid-market as many credit managers have grown too big to pay attention to smaller credits,” observes Berger. Separately from the corporate tax regime, Berger is concerned about recovery rates upon default. These have always fluctuated over time – and tend to be inversely related to default rates – but Berger has identified specific issues that are not related to the credit cycle per se. The problems this time around are different from those during the financial crisis. The ‘cov-lite’ watchword is ubiquitous, with covenants becoming scarcer as the credit bull market has progressed, but the structure of legal agreements is also something that Birch Grove closely scrutinises. “Where hard assets such as real estate and inventories have been pledged to asset-based lenders, first lien lenders may be left with only intellectual property, which can be stripped away from secured lenders, and re-leveraged, to the benefit of junior lenders or shareholders, especially in retail and consumer companies. This can translate into lower recovery rates for both bonds and loans,” Berger has seen. “The most vulnerable companies could have weak credit agreements combined with adverse secular changes,” he adds. With the absolute level of yield on European “high yield” at all-time lows, and ‘AAA’-rated CLO tranches now paying less than 1%, certain European credits are trading very tight versus credit quality. Berger finds less opportunities in Europe where credit markets are smaller and less liquid, particularly in CDS, however. Still, he is closely watching firms such as commodity groups (eg Glencore), supermarkets (eg Tesco) and telecoms companies (eg Altice). Birch Grove is mainly invested in North America and Western Europe. North America is primarily the US. Berger finds no country premium from Canada but there can be idiosyncratic opportunities. Short names are chosen carefully to identify those with a negatively convex profile, which will not lose too much (if anything) from credit improvement. For instance, bonds trading at call price or above par may get called if the market rallies, whereas Berger wants to avoid shorting other bonds that could spike up ten points. Birch Grove’s flagship strategy can be net long or net short but is presently maintaining a neutral stance overall. Compelling though short opportunities are, the short book is balanced out by a long book that earns income, which currently results in net positive income. A persistent theme has been a positive carry, relative value trade, owning high income, short duration, secured debt, against shorts in longer duration, higher beta, unsecured debt. This trade contributes towards 50-60 basis points per month of current income, while maintaining low beta-adjusted exposure to credit and equity markets. This illustrates how Berger aims to construct ‘all weather’ trades. If credit markets continue to move sideways, he envisages income and event catalysts generating outperformance on a risk-adjusted basis. Berger does not aim to keep pace with a bull market but is trying to construct an all-weather portfolio that can make money under all market conditions. Credit beta is so cheap to access that he does not feel the need to offer it. Berger expects that the spread structure could profit from a market shock associated with higher interest rates or credit spreads or both. Berger is not making a macro call on rates, but 90% of long book exposure is floating rate. He views floating rate instruments as being somewhat, though not completely, insulated from rate rises as their own yield ratchets up with rates. Loans are not completely immune to higher rates because, of course, their issuers’ cost of capital will rise, but Berger determines that such companies’ fixed rate, unsecured, debt could be harder hit – and possibly impaired – if the loans trade sharply down. Another reason why Berger anticipates loans outperforming bonds in a sell-off is the technical make-up of the respective investor bases. “The high yield market is majority owned by retail investors through ETFs, retail funds and other daily dealing vehicles. In contrast, loans are mainly owned by institutional investors and CLOs,” he points out. Berger is investing in loans directly rather than via structured credit vehicles, such as CLOs. CLOs can be more volatile and in addition he does not think that CLO equity has the right liquidity profile for a hedge fund structure. Berger also feels uncomfortable with single name CDS liquidity as dealers are not providing liquidity in the way that they did pre-crisis. Peer-to-peer buy side platforms – which can dis-intermediate dealers – are not yet making inroads outside investment grade credit, he finds. Another relative value trade could gain from the creditor-unfriendly behaviour that often becomes more prevalent in mature equity bull markets. Shorting debt and owning equity from the same company could profit from leveraged buyouts, particularly of investment grade companies. Investment grade spreads are so tight – and sometimes even below dividend yields from the same company – that this trade can also be positive carry (depending on ratio sizing). Once again, this trade is focused on specific names. Birch Grove has sometimes held the reverse capital structure combination in a type of convertible arbitrage trade that was long the convertible, and short equity through options. This was designed to create a convex, smile-shaped, payoff profile that could profit from three scenarios: “The firm might make an accretive and transformative acquisition, become a target itself, or return cash to shareholders,” explains Berger. The carry profile on this trade was fairly neutral, at less than 1% annualised. Some gamma trading was carried out to extract volatility, but fundamental, rather than technical, analysis was the main driver. 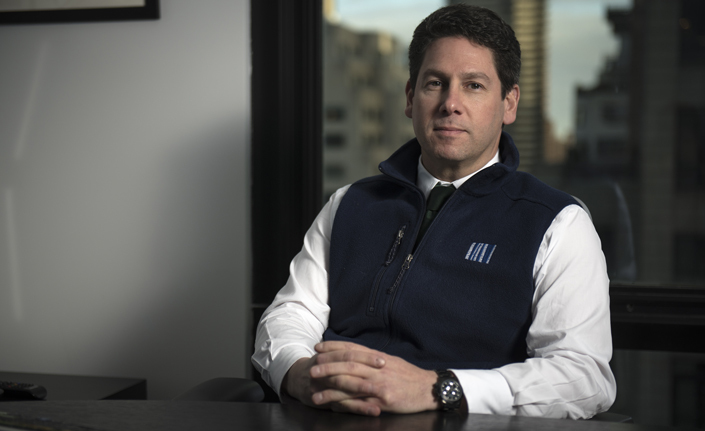 “We are not activist per se – and are anxious to avoid the label as we do not force companies to do anything – but we are proactive in engaging with issuers and constituents to try and get returns up to a mid-teens level from secured credit, particularly in the co-investment and private credit sub-strategies,” says Berger. This can involve features or twists that increase high single digit yields to low double digits. Examples are “a discount to par, a call premium or some other event catalysts, which could include re-financings, industry consolidation, leveraged buyouts from financial or private equity sponsors, balance sheet rationalisation, or capital structure changes prior to an IPO,” says Berger. These situations can also help companies to cut their costs of capital, perhaps from 11% to 7%, creating a win-win story. “It may seem obvious but the loan market is strong and we are happy to give companies a good idea and put up capital to help get the deal done,” he says. Berger has extensive experience in distressed investing, but does not currently find many attractive situations, as they mainly relate to secular industry changes such as energy and commodities in 2015-2016, and bricks and mortar consumer retail being displaced by Amazon and ecommerce now. Birch Grove will sometimes execute asset based loans in distressed situations, and “we prefer to lend against inventory, such as clothing, which is easily valued and can be sold online whereas retail real estate is becoming harder to value and cannot always be repurposed,” he says. One example of a secured credit trade was an asset-based loan to a retailer (Gymboree) charging a coupon of 10% over LIBOR; the icing on the cake was a call penalty that elevated the total return to an IRR of 12% when the company refinanced. Though the borrower’s capital structure was over-levered, Berger felt comfortable with the security on the inventory. Birch Grove finds more opportunities in the stressed mid-market for secured debt, defined aswell-covered first or second liens (with loan to value ratios of 50% or less), and tranches worth USD 150 to USD 750 million. Berger has been receiving reverse enquiries from these types of companies since his Stone Tower days. But Birch Grove is very selective, rejecting over 95% of the deal-flow it has sight of. “The secured credit market is worth USD 1.5 trillion but only a few billion of deals meet our criteria. We need to see a path to a catalyst one or two years out, so we can see it go from an inefficient to an efficient situation. This might involve refinancing paper paying high single or low double-digit yields, at mid-single digit yields.” Birch Grove is not a buy and hold direct lender over multi-year periods, but rather is seeking medium term opportunities where specific events can lead to an enhanced return on, and faster return of, capital. Though direct lending is clearly attracting more capital, Berger sees persistent inefficiencies in the mid-market segment. Vehicles offered are Cayman or Delaware funds, and separately managed accounts, only for institutional investors. Berger “has no prejudice for or against UCITS or ’40 Act but we do not want to launch new products that may distract us until we are ready to do them internally.” The sub-strategy range is evolving in response to institutional investors who are not demanding liquid alternatives. Over 50% of investors are US institutions, with some European, Middle Eastern and Asian ones. Berger stresses that “we would not have our investor base without best in class infrastructure, built from scratch, and informed by mistakes made at previous firms.” This has helped Birch Grove to pass muster with leading investment consultants, who are paying closer attention to Birch Grove now that the firm has a three-year track record. Added to which Birch Grove provides a great deal of transparency, including portfolio level information, to both consultants and investors.